Standing at 9"(22.86 cm) our smallest Gumball Bank has the same classic cast metal base and round glass globe as our larger Gumball Banks, giving it a solid and stable feel. 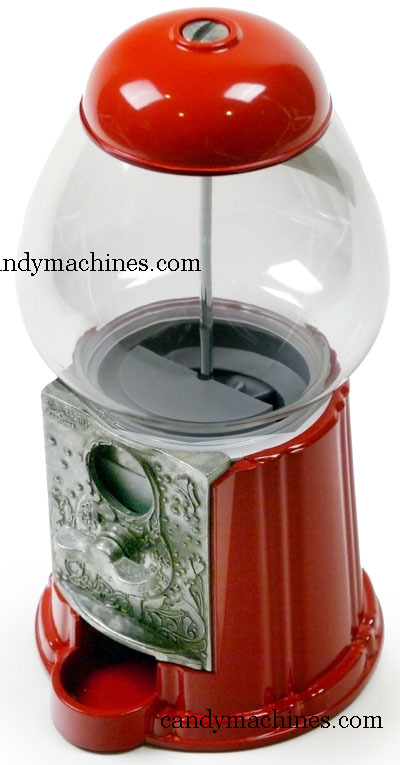 The Small Gumball Bank is economically priced to fit everyone's home or desktop. 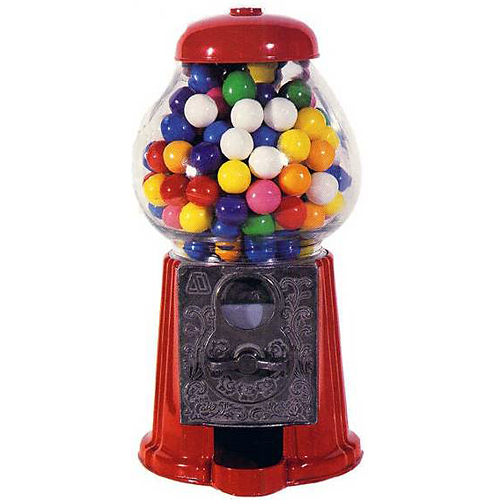 One tub of 1/2" Junior Gumballs (2117-T) fills this bank approximately 3 times. This bank has made a great addition to my office. I like having gumballs always at the ready when I feel like chewing some.